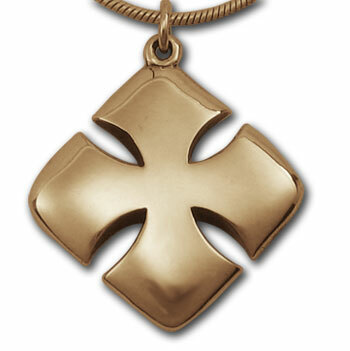 Recapture the centuries of tradition associated with this Maltese Cross Pendant. The bold and fearless design is a classic steeped in culture and history recognized all across the world. 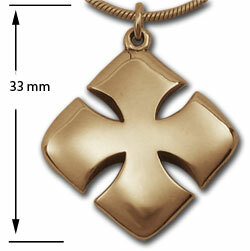 Soft shiny finish on 14k gold has tapered edges on all four cross pieces. 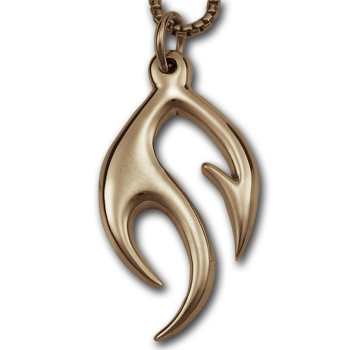 This pendant is a full 33mm high including the jump ring attachment. 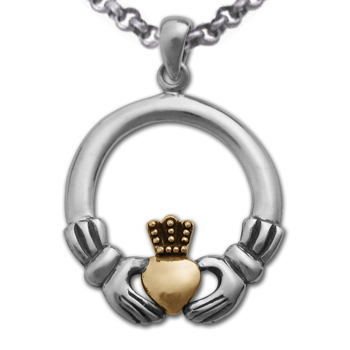 Also in sterling silver and ready for your choice of chain or cord. 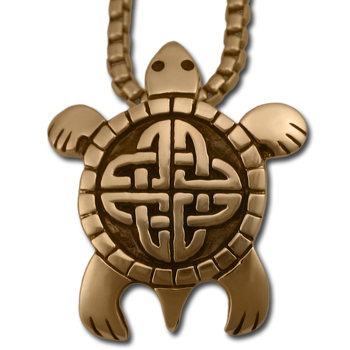 I went to several stores and more than a few websites looking for a reasonably priced, simple, masculine Maltese Cross pendant and this one appealed to me the most. It's a pretty good chunk of gold and a good size. I got it with the cord because I'm usually pretty casual but it also goes on my gold chain easily if I want to look a little dressier. Overall positive shopping experience and got it fast.